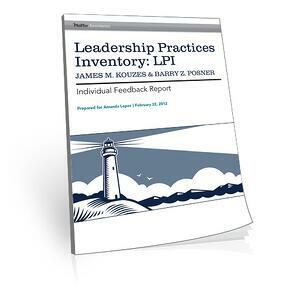 The LPI®: Leadership Practices Inventory® is the best-selling and most trusted 360-assessment of its generation. The LPI® helps individuals to measure the frequency with which they demonstrate The Five Practices of Exemplary Leadership® and enables them to act on their discoveries. Leaders gain deep insight into how they see themselves as leaders, how others view them, and what actions they can take to improve their effectiveness.